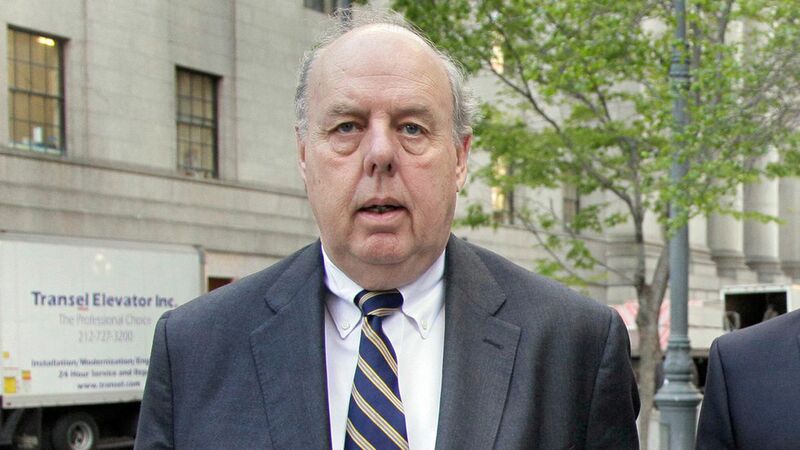 John Dowd, President Trump's personal lawyer, tells me that a Trump tweet that caused an eruption yesterday was "my mistake," made in a tweet he had drafted and passed to White House social media director Dan Scavino. "I had to fire General Flynn because he lied to the Vice President and the FBI. He has pled guilty to those lies. It is a shame because his actions during the transition were lawful. There was nothing to hide!" Dowd: "The tweet did not admit obstruction. That is an ignorant and arrogant assertion." Why it matters: If Trump knew, before he fired Flynn, that the aide had lied to the FBI, that would further taint Trump's months-later firing of FBI Director James Comey. It would also make his appeals to Comey to go easy on Flynn all the more problematic. Here's what Dowd says happened ... When acting attorney general Sally Yates (later fired by Trump) went to the White House on Jan. 26, she told White House Counsel Don McGahn that Flynn had "given the agents the same story he gave the Vice President" about his interactions with Russians. Those statements were clearly incorrect — the point of her warning to the White House. But Dowd says there's a crucial distinction: "For some reason, the [Justice] Department didn't want to make an accusation of lying." McGahn then briefed Trump: "All the president knew was that the department was not accusing him of lying." Be smart: The tweet, and this explanation, are just plain suspicious and weird. Flynn was fired for lying to Pence. FBI agents said he told them the same story. Breaking ... "Trump is attacking his own FBI in a series of tweets and says the law enforcement agency's reputation is 'in Tatters - worst in History!' The president says in a tweet that 'we will bring it back to greatness.'" Trump: "Report [in apparently not-fake WP and NYT]: 'ANTI-TRUMP FBI AGENT LED CLINTON EMAIL PROBE' Now it all starts to make sense! ... Tainted (no, very dishonest?) FBI 'agent's role in Clinton probe under review.'" "I never asked Comey to stop investigating Flynn. Just more Fake News covering another Comey lie!" "On Dec. 29, a transition adviser to Mr. Trump, K. T. McFarland, wrote in an email to a colleague that sanctions announced hours before by the Obama administration in retaliation for Russian election meddling were aimed at discrediting Mr. Trump's victory." "Trump advisers feared that a cycle of retaliation between the United States and Russia would keep the spotlight on Moscow's election meddling." "As part of the outreach, Ms. McFarland wrote, [Mike] Flynn would be speaking with the Russian ambassador ... hours after Mr. Obama's sanctions were announced."